Is it possible to travel the Seychelles on a budget? The Seychelles are a dream location if you are looking for island life and incredible beaches. While they are not the cheapest holiday location and overall price levels are quite high, there are some tips and tricks that will make it easier for you to not spend a fortune. Food and drinks are quite expensive due to almost all food items being imported, and availability is limited. If you are on a budget or have some dietary restrictions, it might be a good idea to bring some items along that are suitable as a beach snack or easily prepared meal. We ate half of our South African giveaways while sitting at the beach, and usually just went for two meals and snacks per day. Another thing you will not find on these islands are hostels, making it a bit harder for backpackers and low budget travelers to find a decent place to stay, especially when travelling on your own. However, you also don’t need to have the budget for a luxury hotel – local lodges and B&Bs often offer good service and accommodation for an acceptable price. 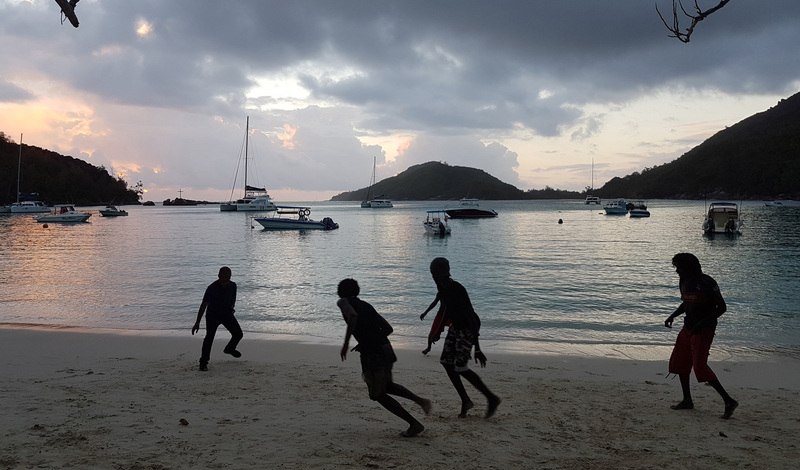 Overall, the Seychelles can be a great destination even if you are on a budget, but you need to calculate extra costs compared to other destinations, and be prepared to spend a bit more or lower your standards on food and accommodation if you really need to keep your budget tight. Victoria is the main city of Mahe, and the largest city in the Seychelles overall. You can stroll around in the city, go for a coffee, and see the sights the city has to offer. The town has a tiny Big Ben tower in a central square, as well as a nice Hindu Temple. 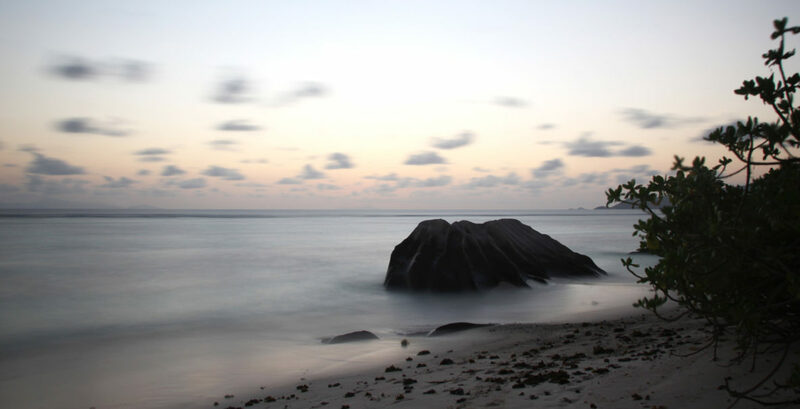 Don’t expect to be overwhelmed though – for me the main wow factors of the Seychelles are definitely nature and beaches. This is a great place for hiking and exploring the beautiful flora of the Seychelles. We did the hike up Morne Blanc, one of the main mountains of the island. In order to get there, you take the Sans Soucis Road from either Victoria or the west coast, and stop at the Tea Factory. This factory is also a nice place to visit on the way, or upon return. The hiking trail is a bit hard to find – you need to follow the street uphill from the Tea Factory until you see some stairs on the left side of the road. Go up these stairs and you will find a small path. The hike up takes approx. 1hr and will reward you with great views of Mahe and surrounding islands. Another recommended hike in this national park is the Trois Frères Trail, which is also accessible via Sans Soucis Road. Beau Vallon: on the west coast of the island, this beach is very accessible, with lots of hotels and restaurants around it. As we stayed closeby for two days, we went to this beach a lot. Anse l’Islette: A nice beach with a closby river flowing into the sea. The best thing about this beach is that there is a small island close to the main land, and in the morning hours, you can walk there via the beach. We learned that a Russian reality TV show was currently shot on this island. Grand Anse: A very large beach, great for long walks and relaxing in the sun. Anse Boileau: Another large beach, very close to the road so not the most relaxing place, but good for a stopover. Parts of the area are not accessible due to closeby hotels. Anse Aux Pins: Another wide beach with lots of opportunities to stroll and lay around. Baie Lazare: We have not been to this beach, but it was on my list of places to go. Taxi rates in the Seychelles are rather high, so my recommendation is to avoid this option if possible, and be sure to compare prices if you do. Some hotels have fixed drivers, which can be cheap sometimes, but the hotel can also add a lot of commission costs, so be sure to know the rates and compare accordingly. If you find a decent driver with good rates, keep his card. On the other hand, you need to accept that taxi costs are just high on these islands – too much bargaining is not appreciated and will not bring you further. This is in my opinion the best way to get around in Mahe. You will find many offers for rental cars, and hotels usually have their own partner agency. The cars you get are all small, and this is a good thing, as you would not want to drive any big vehicle in the curvy mountain roads of this island. When driving through the hills, keep your ears open for honking sounds, as they indicate a bus or another big vehicle getting around the corner. Be sure to always remember to drive on the left side, and be aware of tourists sometimes forgetting to do so. There are bus lines getting around the island, but for more remote places, it might be quite difficult to find suitable connections. As I did not take any buses myself, I cannot give much information on the bus system of Mahe. Medium priced restaurant with a great food selection. We enjoyed the local food here, and the restaurant has a nice atmosphere especially for outside seating. For days hiking or at the beach, you might want to buy some food to take with you, and we were sometimes struggling to find good options in the small supermarkets around the island. One place we discovered and then frequently went to is the larger supermarket located on Eden Island – it has nicer choices of sandwiches, salads, and other hot/ cold takeaway meals. This is a nice place if you are looking for something a bit more remote and with some jungle feel. The place is very well furbished, has a nice outside seating area for breakfast, and excellent service. Don’t get discouraged on the way there, taxis might take you through a lot of backroads. Be aware though that walking to and from the beach requires some serious climbing, and it is not located in the area with the nicest beaches, so if you stay there longer it is beneficial to have a car. We stayed in this guesthouse for the first days of our stay. The place is well located, in walking distance to Beau Vallon Beach and surrounding restaurants and mini markets. The owners were really nice and helpful, also in organizing a car for us and giving tips for the onward journey. Cat cocos offers ferries to Praslin and La Digue. The ferries part from the harbor of Victoria. You should book your tickets in advance, either online or in the local office. We managed to get tickets in the office even when online availability was low, so a good option is to go to the ticket office one or two days before your desired departure. If you book accommodation on another island directly after flying, ensure to have enough time for the transfer, and book the ferry ticket in advance. The main airport of the Seychelles is located on the north-east coast of Mahe, directly next to the water (which is an interesting landing experience) and is approx. 10km from the main city Victoria. Due to traffic this trip can take a while, so plan enough transfer time from airport to ferry station if you go there directly. This is definitely my favorite island of Seychelles, at least of the ones I visited. It has wonderful beaches, is easy to get around, and really makes you slow down and enjoy life! Even though the island is small, it is a great idea to stay there for several days – you will not want to leave in the end anyway. On La Digue, what you will likely do all day is make your way from one dreamlike beach to the other, relax in the sun, pose for some island pictures, and cruise around on your bike. This is definitely my favorite beach of this island. It is not only one beach, but rather a collection of beaches, separated by large stone blocks, and offering a nice area to explore and wander around. At least once you should stay here to watch the sun go down – it’s magical! The beach also has a little beach bar, where you can enjoy fresh drinks. The downside to this beach is that it is part of a park (Union Estate Farm) with a steep daily entrance fee, so you should prepare to stay there for some time to make it worthwile! This is another amazing beach with clear blue water and white sand. The waves can get quite high, and swimming is not possible at all times, but wandering around on this beach will be a pleasure anyway. If you feel like climbing, you can find a small path from Grand Anse leading you to this beach. 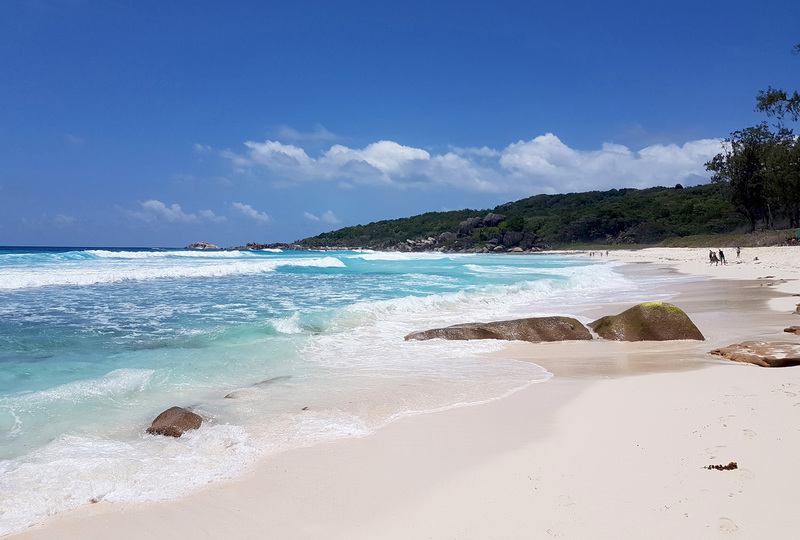 It is not much smaller than Grand Anse, so the name is a bit misleading, but both beaches are perfect beauties. 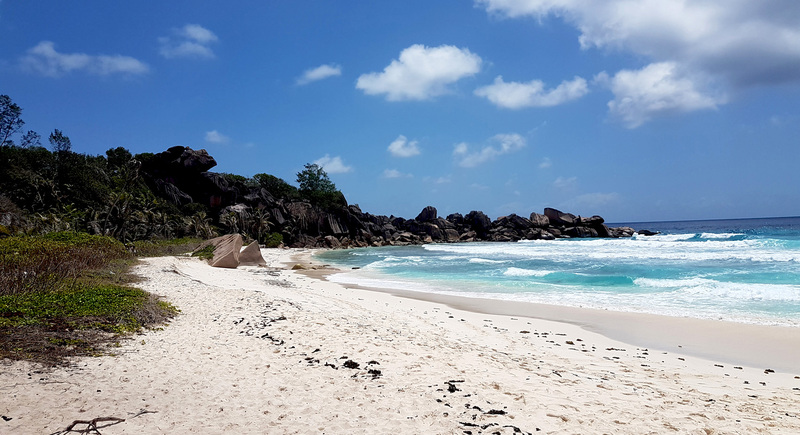 This beach is linked to the La Digue Island Lodge, but you can access it regardless of being a guest or not. It offers nice temporary shade by some large palm trees, and is a great place to just relax for a while. Beaches are definitely the main activity on this island. However, you can also explore the island by bike, or visit the Union Estate Farm – a park with palm trees to climb, animals and plants to watch, and some giant tortoises to feed. I was a bit disappointed by the tortoises being held in a closed environment though, so if you really want to experience them, a trip to Curieuse Island might be a good idea. The Seychelles also offer great underwater experiences, and in some islands you can be sure to see some amazing sea creatures like turtles, colorful fish, and even sharks or manta rays. Sadly though many corals have been in the process of bleaching for some time now, so many underwater landscaped look quite grey and dead, which is a bit sad to experience. It is a good idea to check upfront for the best places and times to see what you are looking for, as the experiences per island can differ a lot. From La Digue, you can take full or half day arranged boat tours to the surrounding islands Felicite, Marianne, and Grande Soeur. Not all islands are accessible at all times, so ask upfront for availability. On the roads around the harbor, you will find plenty of options for these trips. We found prices and availability quite comparable across providers overall, so do not waste too much time shopping around. There is a very easy answer to this: rent a bike. Biking is just THE way to get around the island, it is fun and makes you very flexible. Even though everyone says that bikes cannot be stolen it can happen that someone takes the wrong bike, so if you are with more than one person, make sure to keep your bikes closely together. This was a nice place to have dinner, nice mostly because of the view and atmosphere right next to the beach. The food was good and well prepared, but don’t expect anything extraordinary. The value for money was good considering the price level of Seychelles. We hesitated to go to this takeaway in the first place, as it looked like a fast food place, but where surprised with the great amount of visitors. Once we actually went there, we knew why: this place has great food options for an affordable price, which is something really rare on these islands. Don’t expect traditional dishes and extraordinary cooking, but you will have various choices of food (depending a bit on the time of day you go there) and great fresh fruit drinks. You can eat outside or have a takeaway meal. It is definitely a great place to go if you want to save some money, but not compromise your food choices. Another way to get a good meal is just to ask at your hotel or lodge for dinner options. Places that don’t have a restaurant usually still offer a cooked meal for dinner, and you might get lucky and experience some nice home cooked food. Just remember to confirm in advance. We stayed in this hotel the whole time we were on La Digue Island. It is nicely located, has a great garden area, and offers a good breakfast as well as options for dinner. Rooms are very spacious and usually have their own terrace. It is also a nice place for larger groups of friends. The rooms are comfortable and contain everything you need. It is very well located, close to Anse Source D’Argent and the park around it, close to the bike paths to Grand/ Petite Anse, and close to the main shops and harbor. The owners are really nice and take care of everything. We did not stay in this hotel, however we went to the beach at Anse Reunion and really liked the setup of the hotel, especially the beach bungalows seemed like a really great place to stay. We also went there for dinner and enjoyed the view from the terrace, so if you find some good rates for this place, go for it! Sadly enough we only experienced the harbor of Praslin, passing through on the way from La Digue to Mahe. However I did some research on the island as well, and will give you my results here – without personal confirmation. A nice place to experience the fauna of Seychelles, including the famous Coco de Mer. You can also see the turtoises here, again in a closed off shelter. Every island of Seychelles has a beach with this name, and Praslin is not different in that. This beach looks very nice in picture, so I would check it out if going there! A great thing to do from Praslin is to take a trip to the surrounding islands Curieuse and Cousin. On Curieuse Island, you can experience tortoises roaming around more freely than in closed parks, which is definitely an experience not to miss. Aride Island is a nature reserve that can be visited on day tours, it is also known as bird island. Getting there is a bit more complicated: You have the option of a boat trip from Praslin, a helicopter tour, or joining a cruise. The island is usually closed from May to September and not accessible at all times, but seems to be well worth a visit if you find a good option to get there. Tourists have to pay a fee of € 45/ $50 in order to access the island. This post is amazing! I always think of Seychelles as such an expensive place, so it’s nice and unique to see a budget guide. I would love to go someday!! Your blog looks fabulous and I am excited to read more posts! Your safari posts especially, look incredible!! Thank you for inspiring me with your fantastic blog!! Hi Kaila, thanks so much for this feedback – it means a lot! Seychelles is an expensive place, but there are options away from lodges and honeymoon suites (which is of course nice too if you have the budget 🙂 ) that many people are not aware of. So glad I could inspire you! Your blog looks great as well by the way, I’ll make sure to check out more of it!! Oh, I found your article about the Seychelles. The Seychelles are also on my bucketlist. Keep going ….your blog is great. I’m glad you like it!! ?